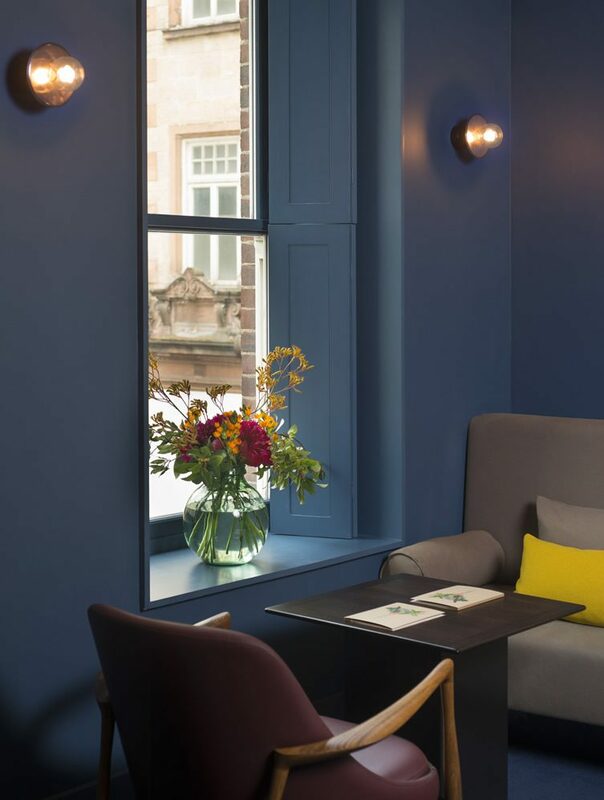 The latest project from Singaporean hotelier Peng Loh (last seen in London at Town Hall Hotel and Viajante) and Michelin-awarded Chef Patron Tom Harris (continuing on from the good work he started at the hotel’s previous St John incarnation) is the delightful One Leicester Street. 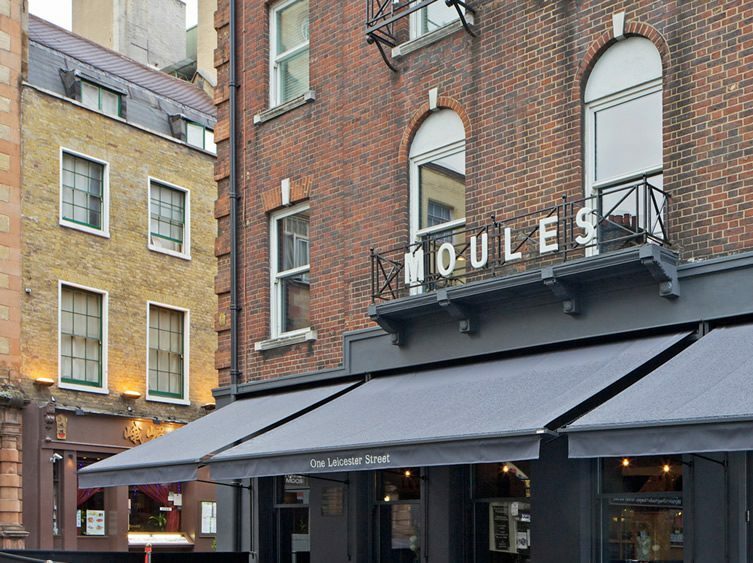 Looking well – thanks to its delicious facelift from Universal Design Studio, and beautifully crisp branding by A Practice for Everyday Life – the former St John Hotel is the secluded little haven you’ll be praying for, having tackled the tourist-traps of Chinatown and Leicester Square it nestles quietly amongst. We arrived early, and perhaps a little eager – so were encouraged to pop upstairs to the bar, where Matt Whiley’s Talented Mr Fox residency was in full swing; the debut solo venture from the creative mixologist behind London cocktail bars Purl Bar and The Worship Street Whistling Shop, a reassuringly innovative drinks menu lay in wait. I chose Have a Word – FEW gin, dandelion spun yellow chartreuse, lime, maraschino bitters – which was delicate and refreshing, my significant other opted for the risky Mystery Box – “each day we buy 3 ingredients from Chinatown to create this drink – roulette? ?” we’re told – and what a fantastic spin of the wheel it was! Little tapioca pearls sat at the bottom of the long cocktail of vodka, lychee and tea – served with a great big fat straw for balling fun! 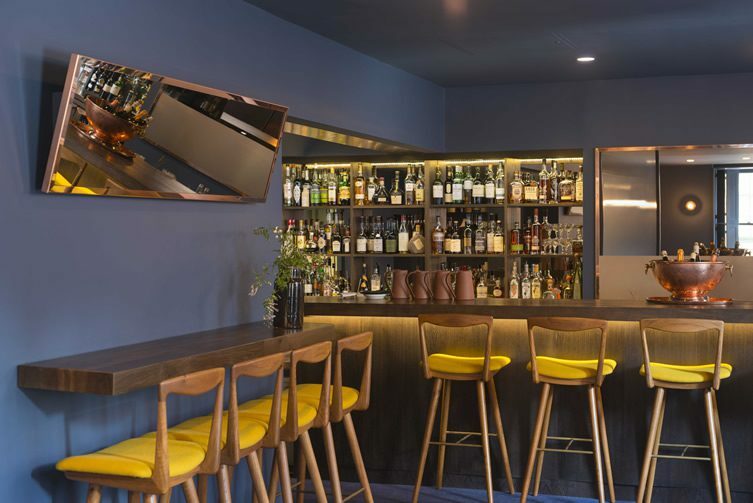 I’m sure it wasn’t just the alcohol talking, but the notion that One Leicester Street doesn’t take itself all that seriously – despite its inventive, high-end façade – was one of its exceedingly commendable charms. The restaurant itself shares its entrance with the hotel lobby. Tiny, with deep soft grey walls and not a hint of overt decor, bar teeny botanical prints by illustrator Sister Arrow on one moody wall. The feeling of privacy ensures it’s only when your foot crosses the threshold, into the equally small dining room, that the fun begins. Host Tristan is charismatic, inviting and not shy; within minutes I know he doesn’t like mushrooms and wouldn’t recommend their ‘house’ white. Tristan chooses a lovely Georg Mosbacher Riesling, which we savour along with outstanding home-baked rye sourdough with fennel seeds. Brilliantly spongy and full of flavour, we literally inhale each slice and – with puppy dog eyes – long for more to arrive. 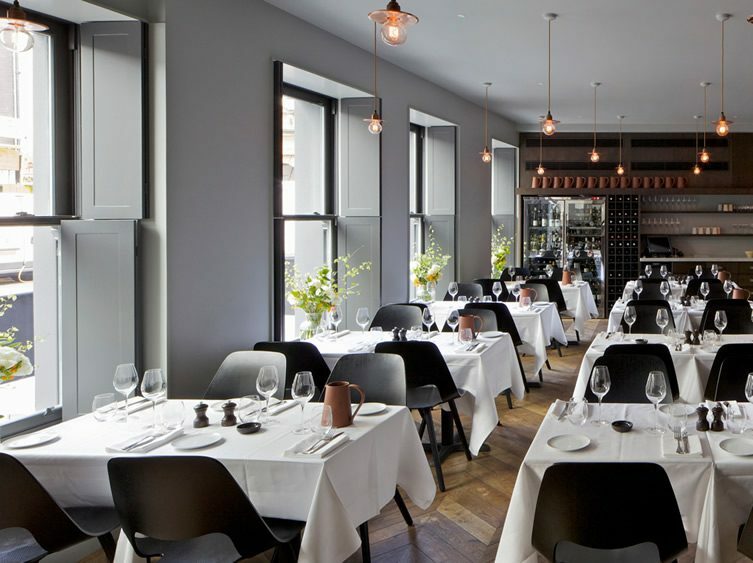 One Leicester Street’s restaurant is intimate and inviting, with copper pendant lights, black ash timber dining chairs and pink hand-cut flowers – less is definitely more, and I’m quite taken by its distinctive sense of rich minimalism. The large kitchen bar is classic and simple, but I can hear no music. Somehow the atmosphere remains without it – although I wouldn’t recommend coming here with someone boring, you’ll end up talking to the staff all night. 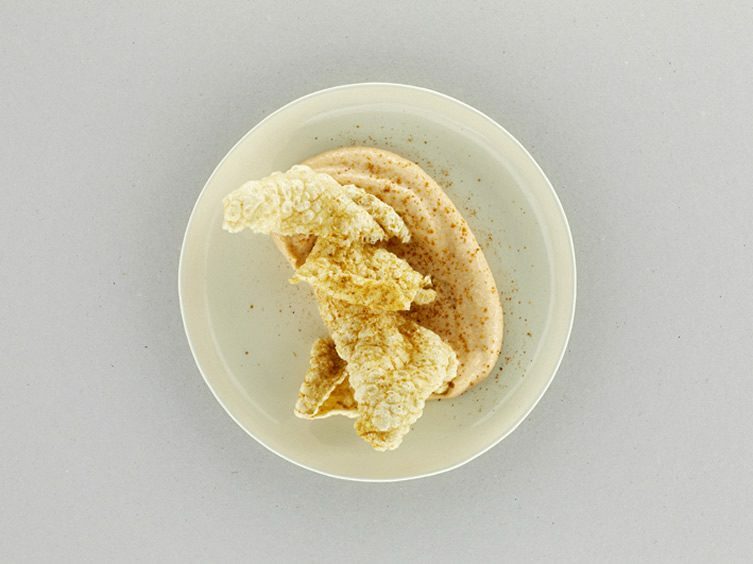 On recommendation, we order salty piggie goodies – or as the menu describes: ‘smoked cod’s roe and devilled pig’s skin’ – which is just perfection; salty and light, married with the taramasalata that was creamy yet punchy. Great together and wonderful alone, this light bite (as everyone keeps saying) was super! We try their ‘bobby beans and Berkswell’ which were cooked to buttery perfection served with the season’s delight – the wet walnut. 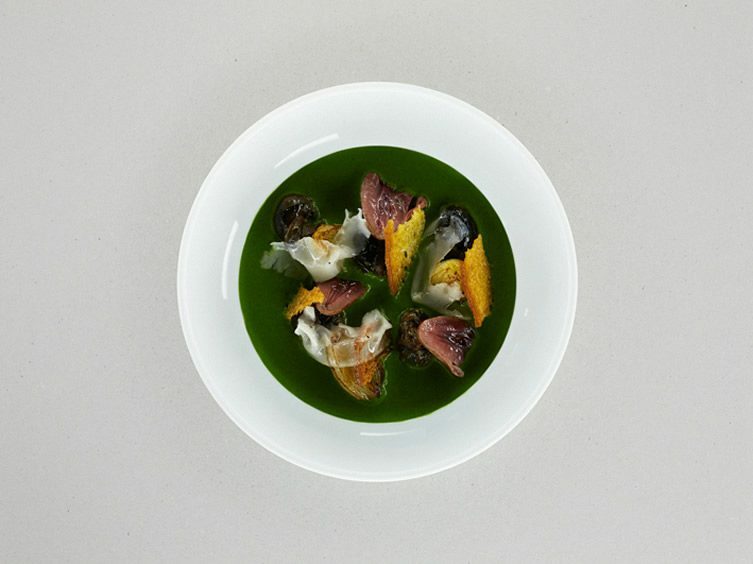 Also roasted chicory with egg and hazelnut, and some devilled mussels – all stand-alone dishes with rich flavour and bite. Our tiny table was perhaps a little too tiny for all this sharing business, with eight messy plates on it mid-sitting and my elbows covered in all sorts, but this doesn’t deflect from the greatness that is One Leicester Street. 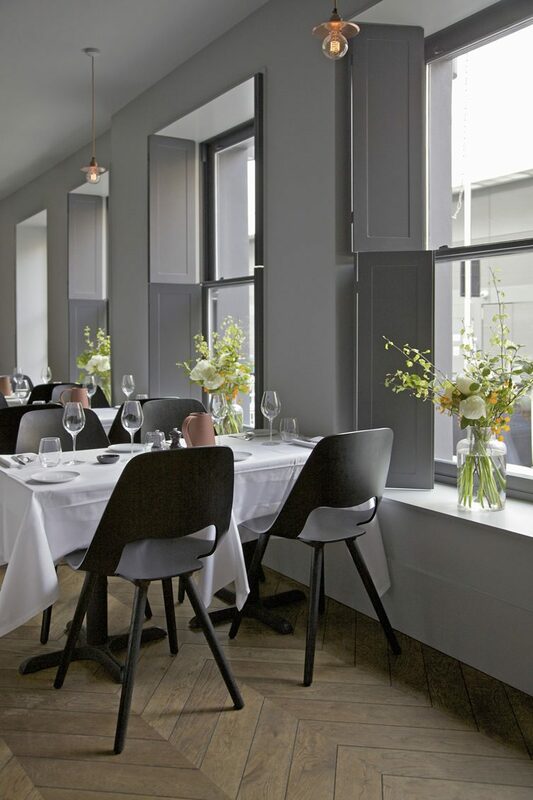 Fancy, theatre, home-cooking and elegantly moody – it’s a difficult establishment to pin down. I was impressed with the personable staff and the fact that they smoke and preserve a lot of their own produce on site. 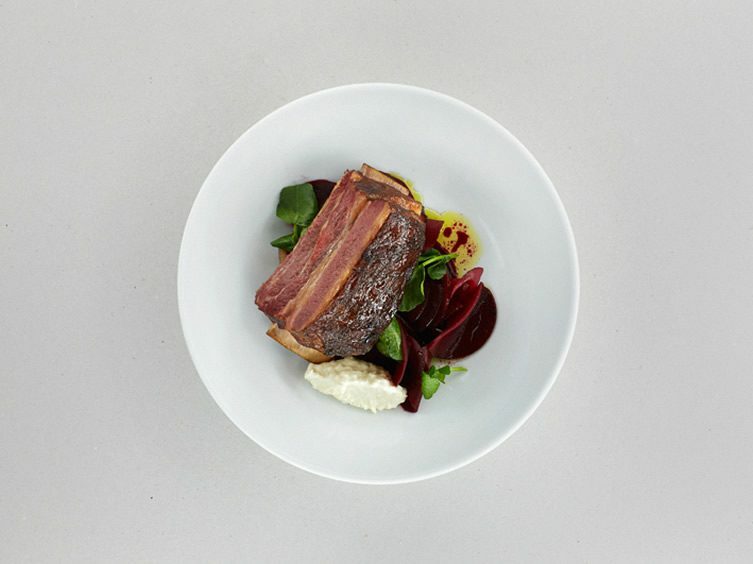 One Leicester Street’s is one of those restaurants that you could spend the entire evening at, enjoying a quirky mix of great service, food and cocktails.